Published on Saturday, March 12, 2016. The 2016 Awards of Excellence recipients had both familiar and new faces, and we’re happy to have them as part of our ACC show family. 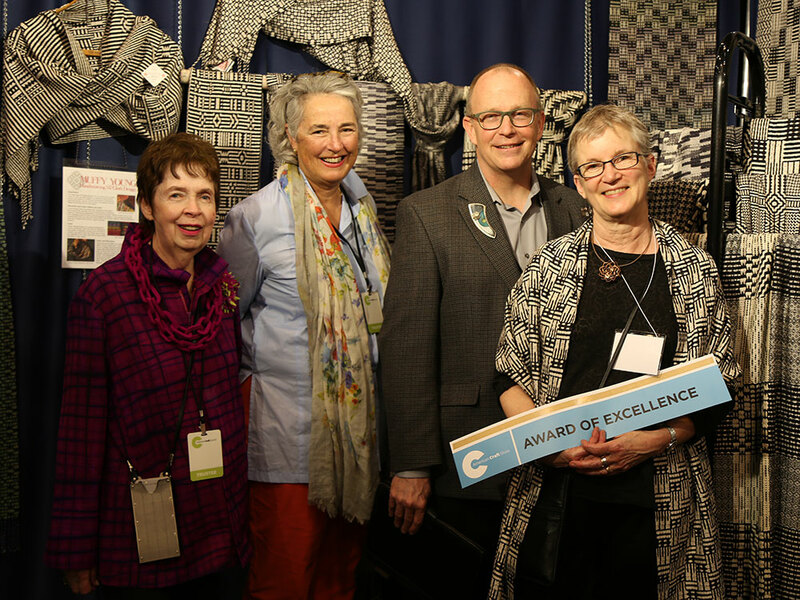 From left to right: Jurors Barbara Berlin and Libba Evans, ACC executive director Chris Amundsen, and textile artist Muffy Young. There are more than 225 artists exhibiting at the American Craft Atlanta Show this year. Five of them were honored with awards on Friday. Winning ACC Awards of Excellence were mixed media artist June Corley (booth 1204), whose work the jurors proclaimed was “fun and a brilliant use of language and lettering;” sculptor Keith Holt (booth 1003) with his beautiful and elegant wood pieces; and weaver Muffy Young (booth 302), lauded for her fearless and intricate weaving patterns. 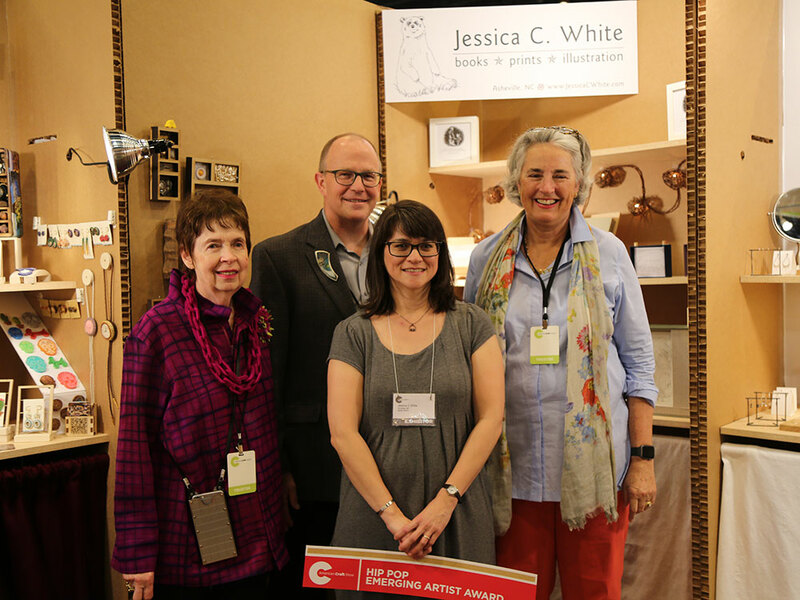 Mixed media artist Jessica C. White (booth 915-5), cited for her “inclusive use handmade paper, illustration, and letterpress printing,” won the Award of Excellence given each year to an emerging artist in ACC’s Hip Pop program. Congratulations to all our award recipients in Atlanta! Find tickets and info for the Atlanta show. 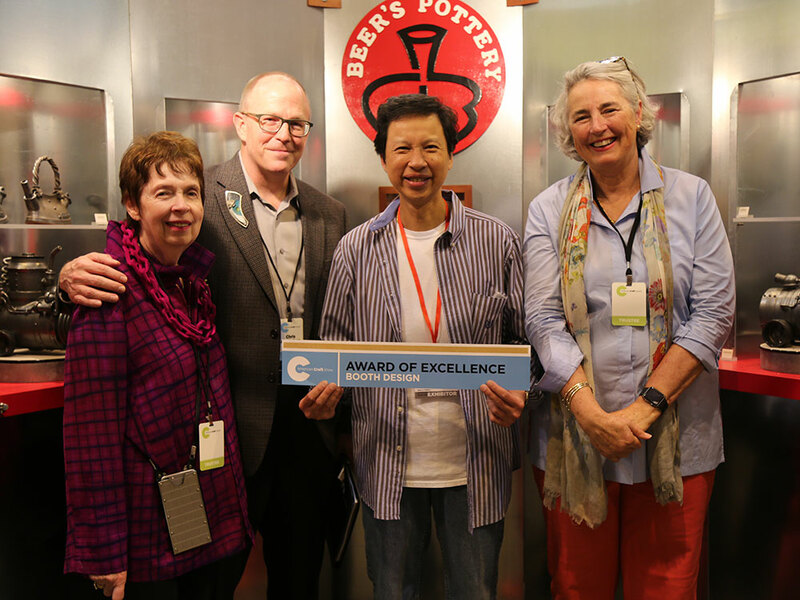 Left to right: juror Barbara Berlin, ACC executive director Chris Amundsen, ceramist Paveen "Beer" Chunhaswasdikul, and juror Libba Evans. Left to right: juror Barbara Berlin, ACC executive director Chris Amundsen, Hip Pop emerging artist Jessica C. White, and juror Libba Evans. 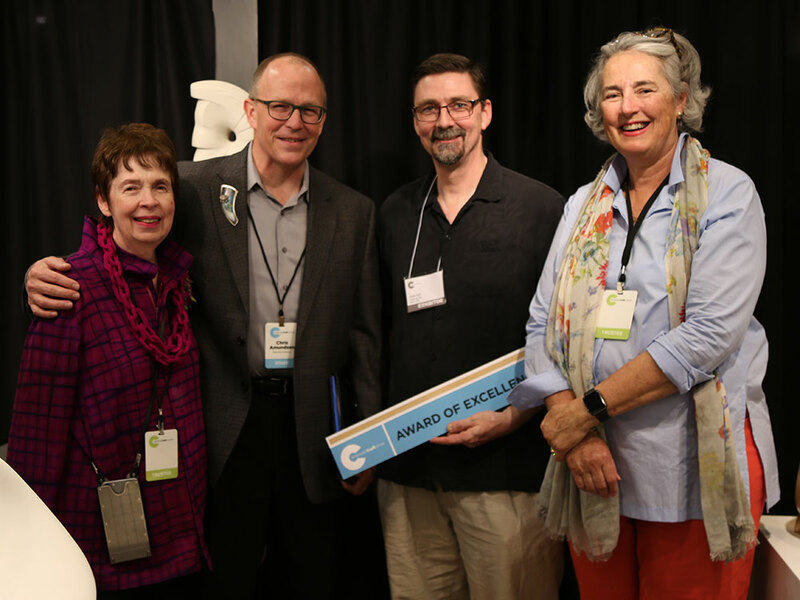 Left to right: juror Barbara Berlin, ACC executive director Chris Amundsen, artist Keith Holt, and juror Libba Evans. 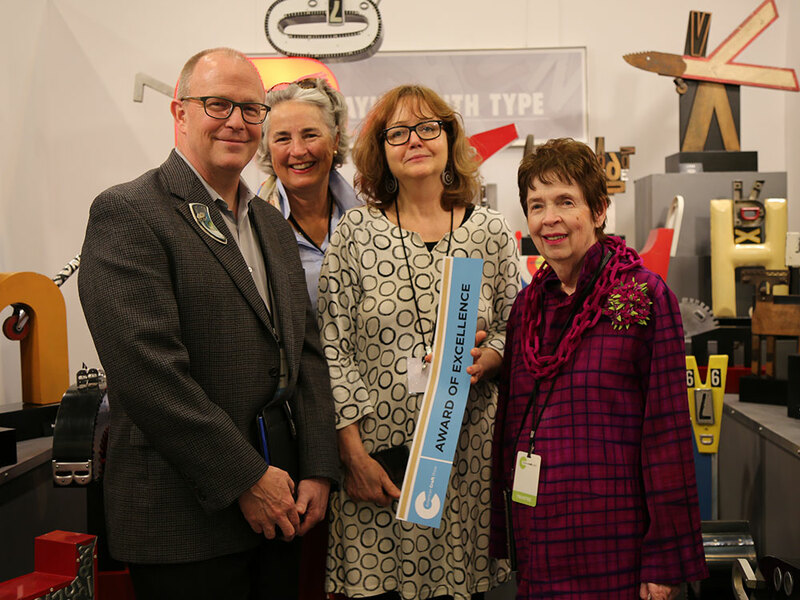 Left to right: ACC executive director Chris Amundsen, juror Libba Evans, artist June Corley, and juror Barbara Berlin.